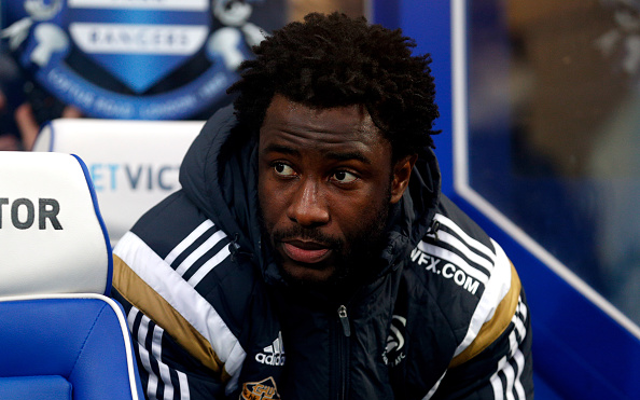 Yaya Toure thinks Wilfried Bony deal will go through. Manchester City star Yaya Toure has hailed the imminent signing of £30m Swansea City striker and Ivory Coast team-mate Wilfried Bony, according to the Sun. The 31-year-old seems confident that a deal will be struck for the Swans hitman to move to the Etihad Stadium this season, and has praised the qualities of his fellow countryman and what he could bring to the club. Bony has been in fine form for Swansea this season and has attracted plenty of interest from top clubs, though it now seems more and more likely that he will be heading to City this season to help boost the side’s options upfront after injuries to the likes of Sergio Aguero and Edin Dzeko. Toure is pleased to see Manuel Pellegrini being active in the transfer market, and believes Bony is the calibre of player the team needs upfront at the moment as they look to challenge league leaders Chelsea for the Premier League title this season. “If you want to be at the top of the Premier League you need to sign the top players and Bony is one of them at the moment,” Toure said. “We have fantastic strikers in the Premier League. But we have been struggling with our strikers not being fit. “Aguero is a prolific one for us but now, in a few days, we think Wilfried is going to sign for us and it’s going to be a big boost.